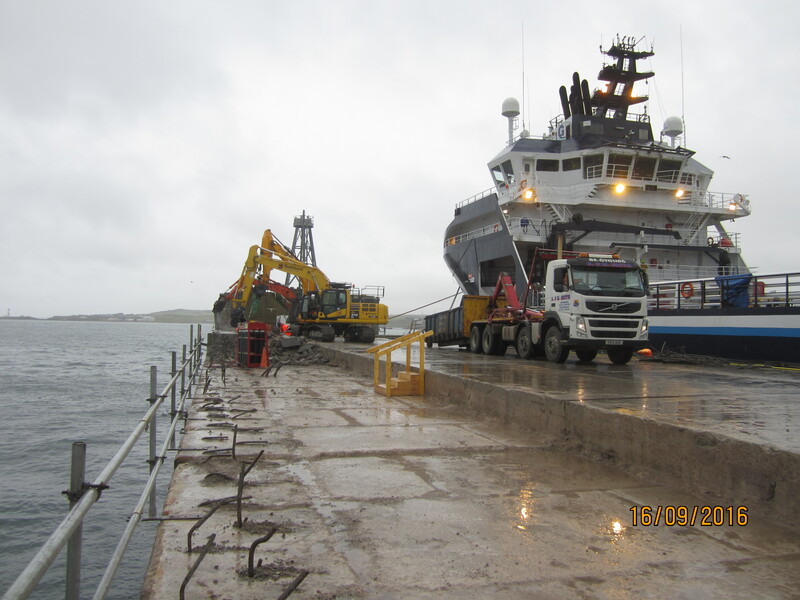 On 3 January 2016 the North East of Scotland was subject to a severe coastal storm with gale force winds and high running seas. 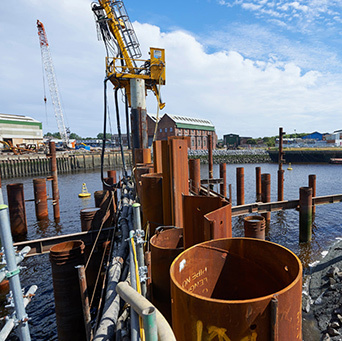 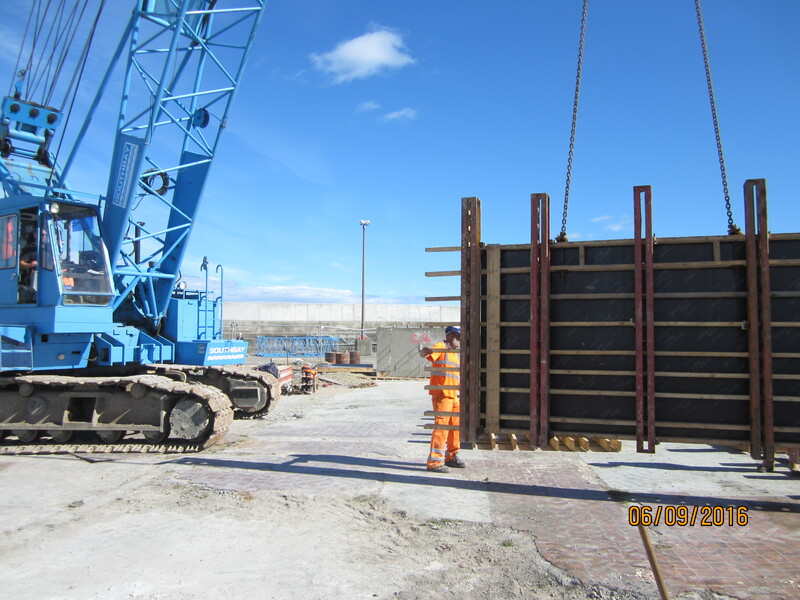 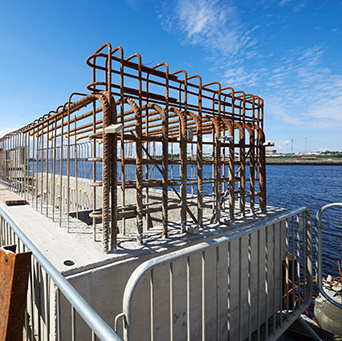 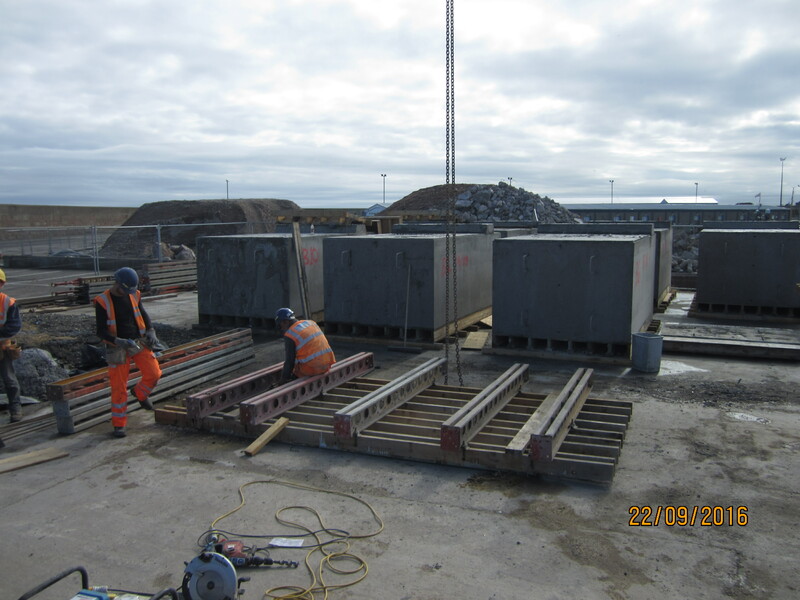 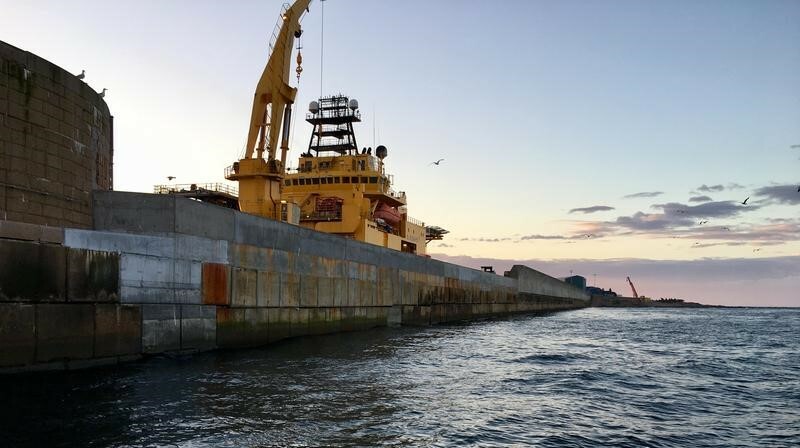 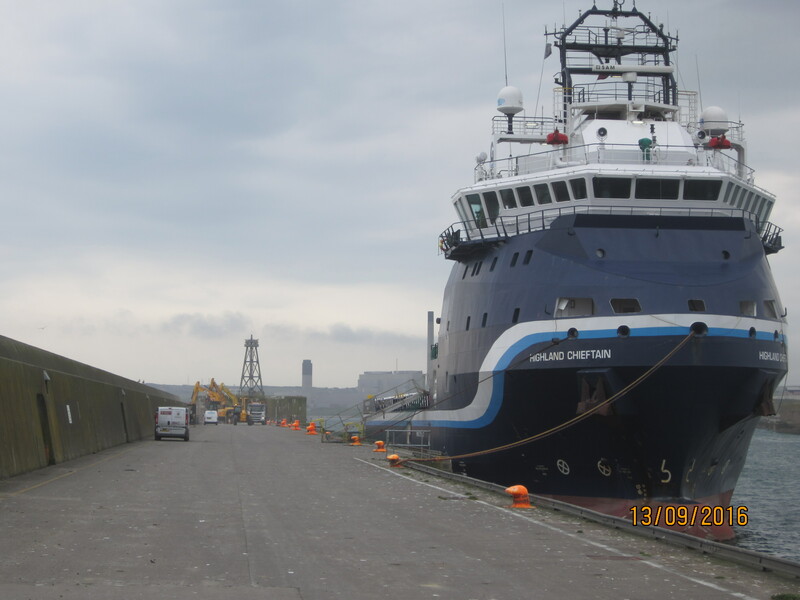 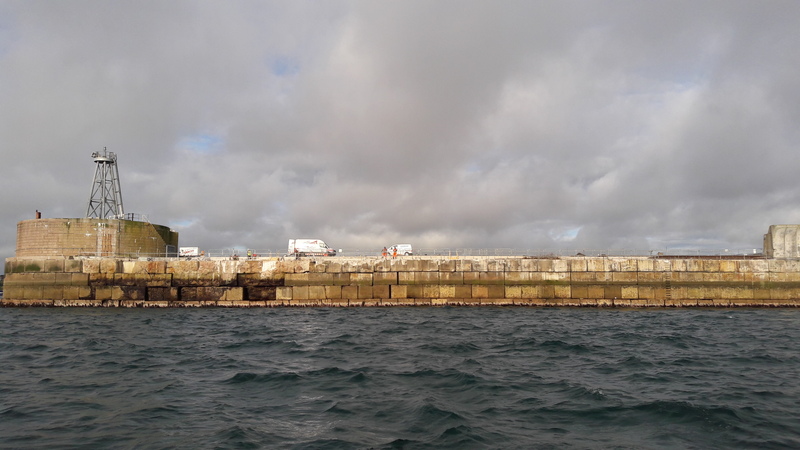 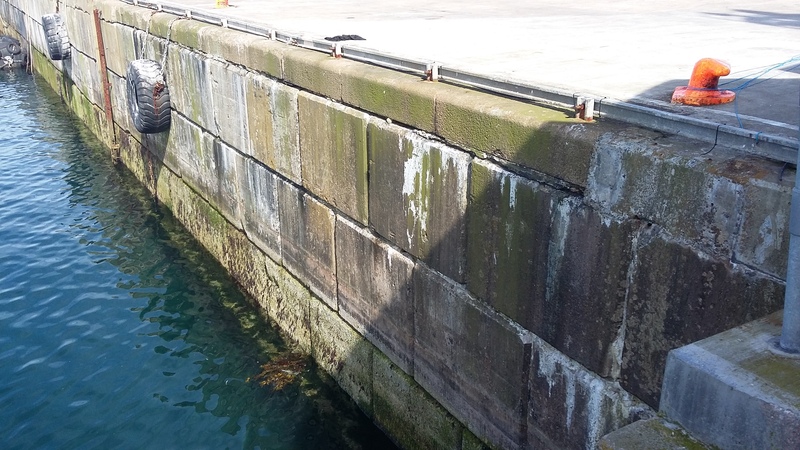 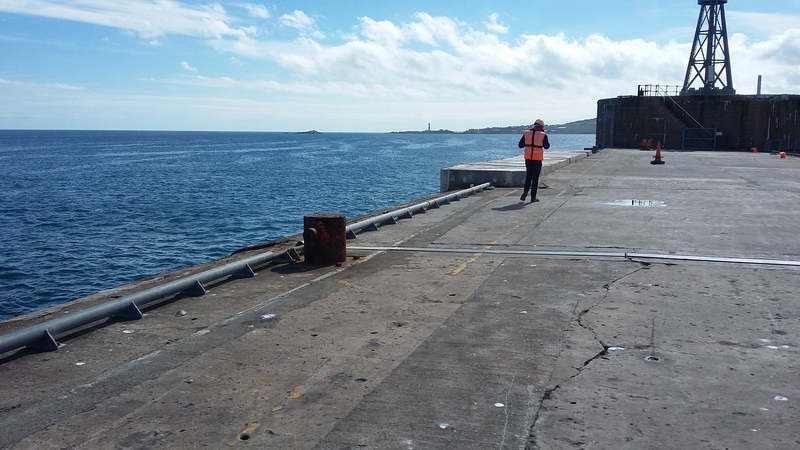 During the storm a 28m section of wave wall was separated from the North Breakwater at Peterhead Port and washed in to the sea, breaking and dislodging mass masonry blocks from the breakwater outer face in the process. 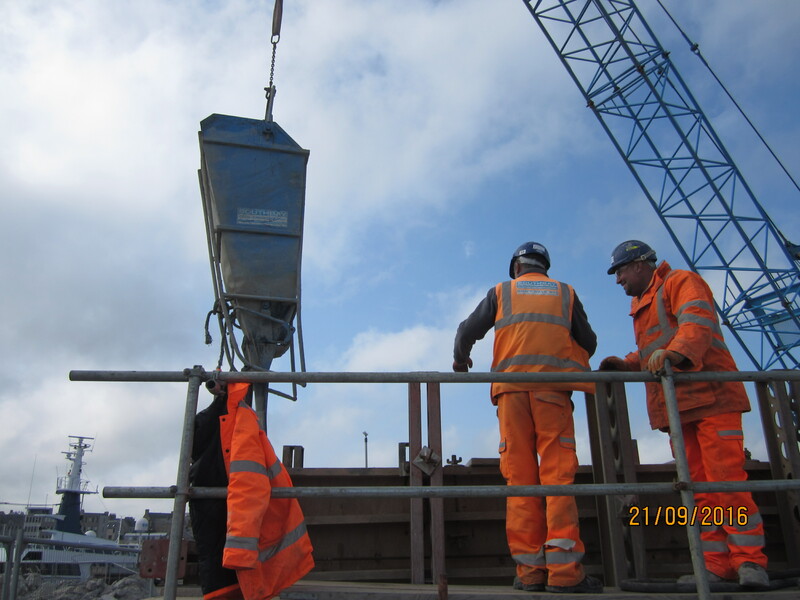 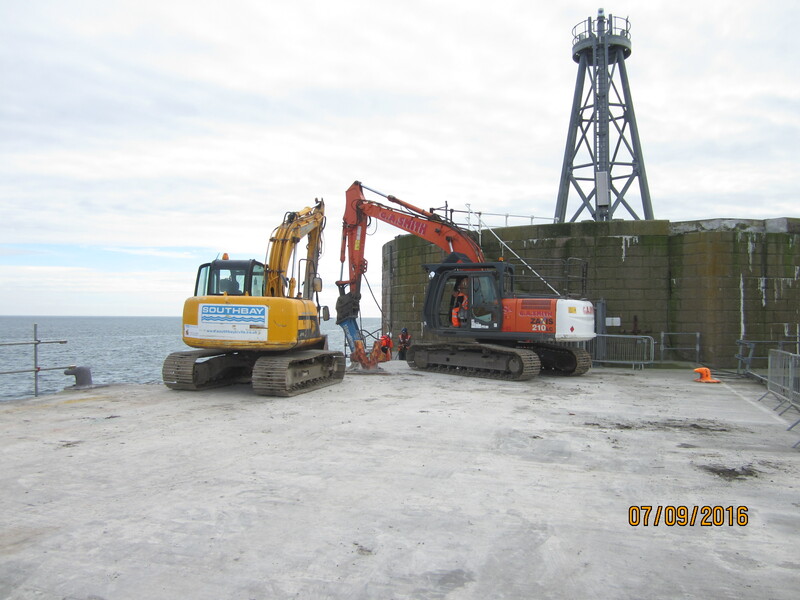 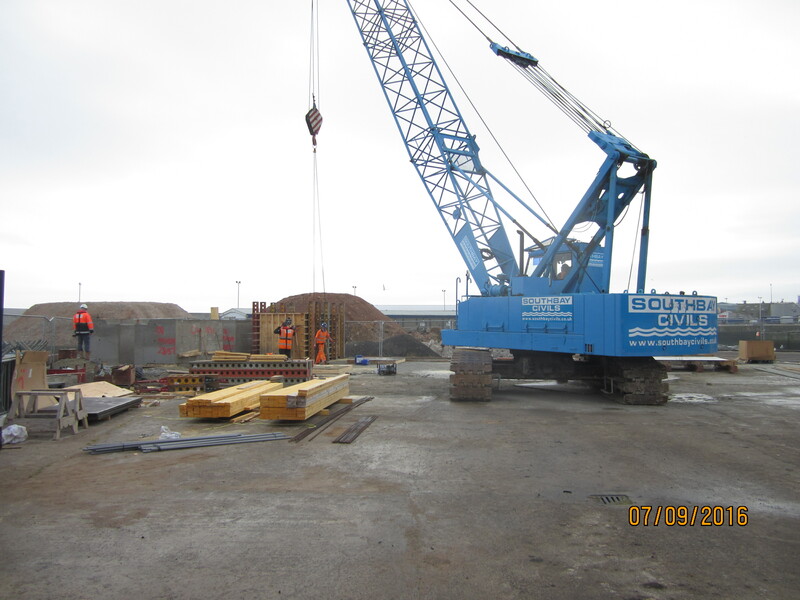 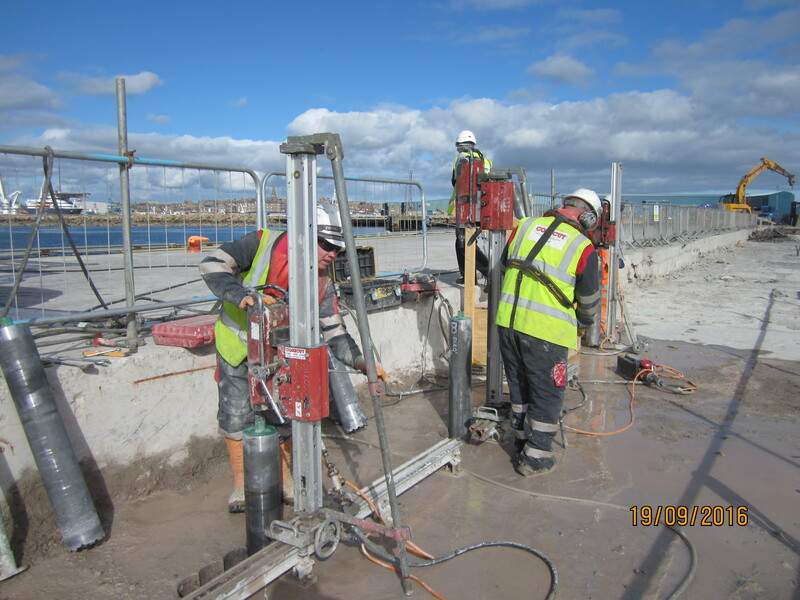 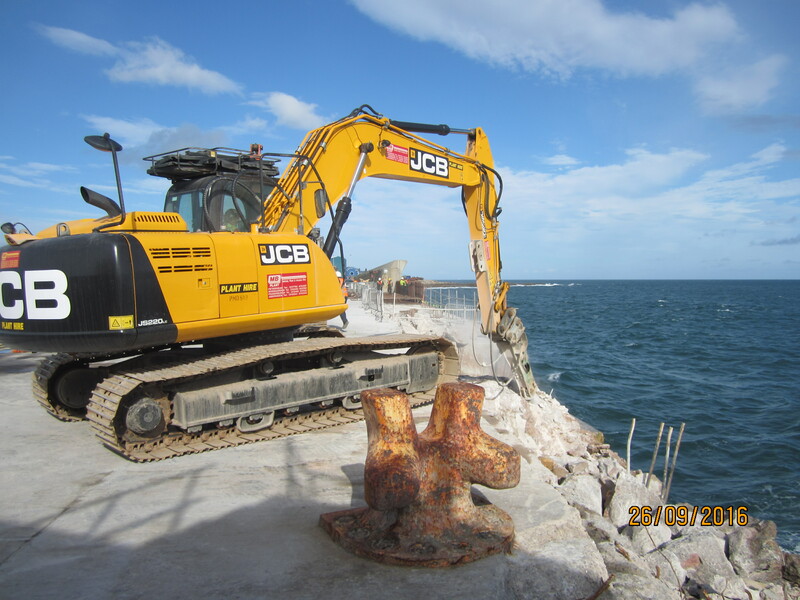 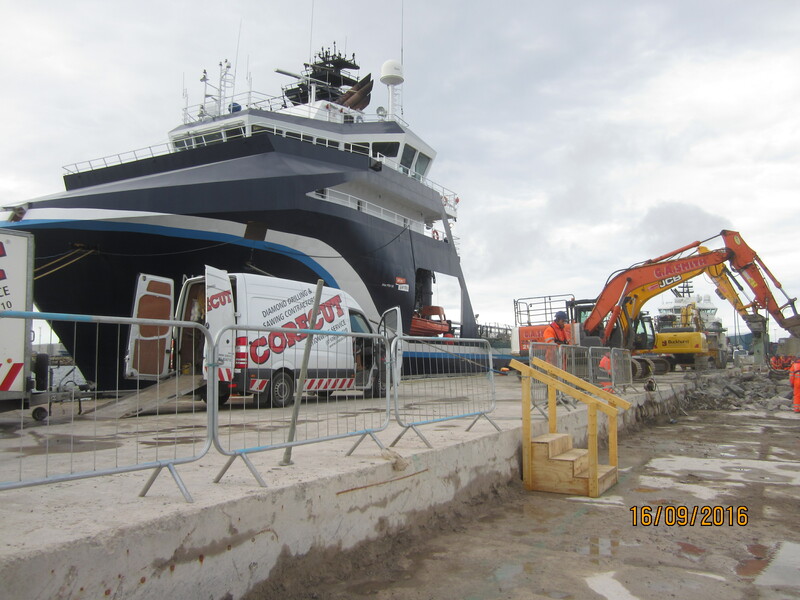 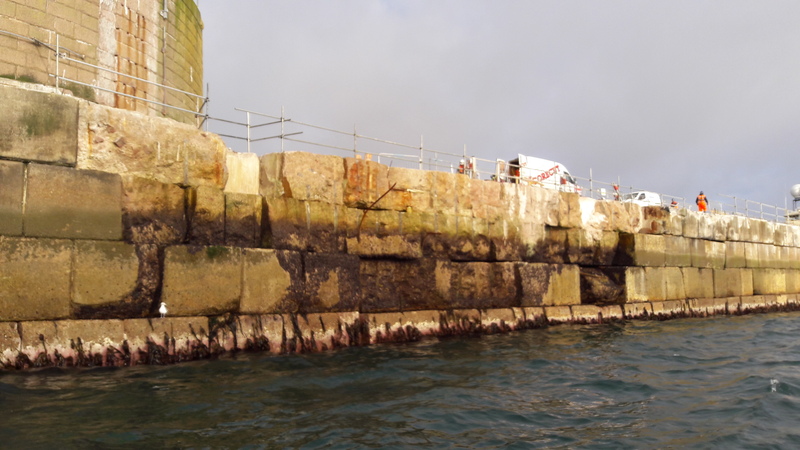 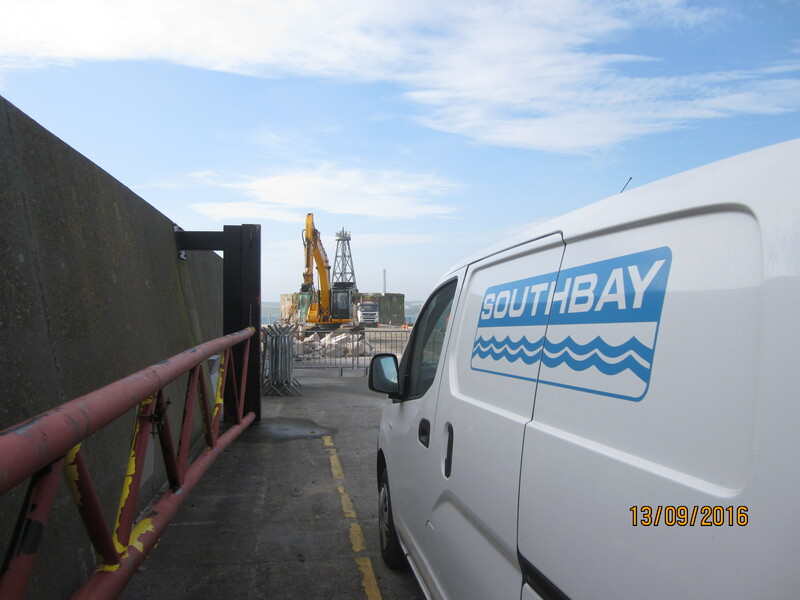 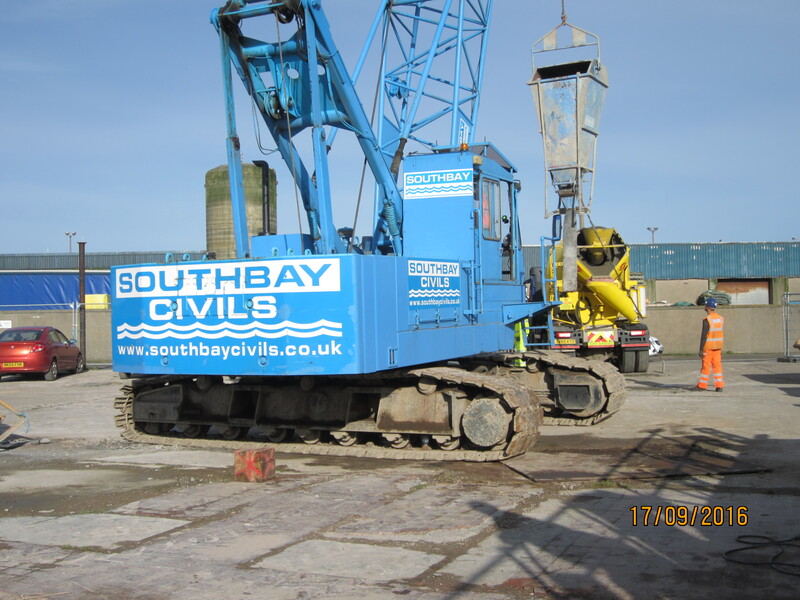 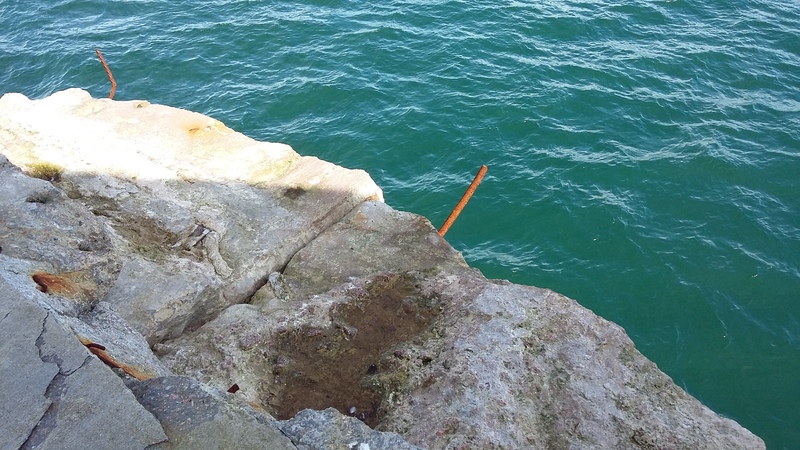 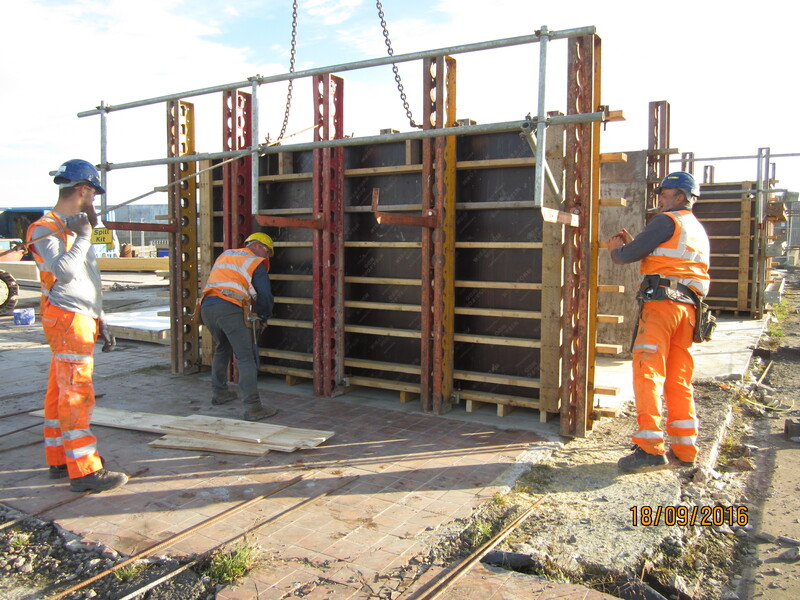 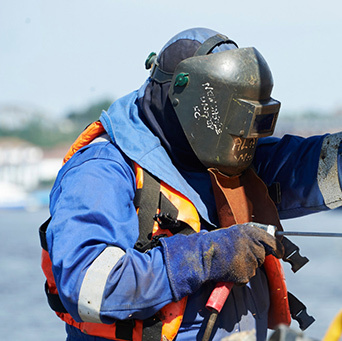 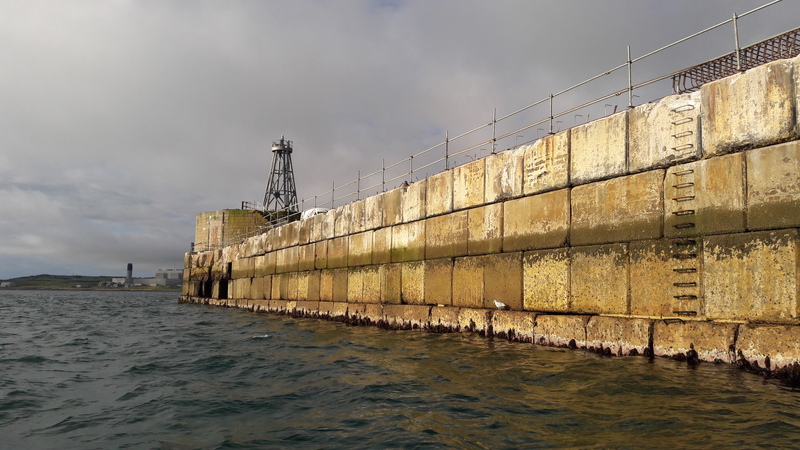 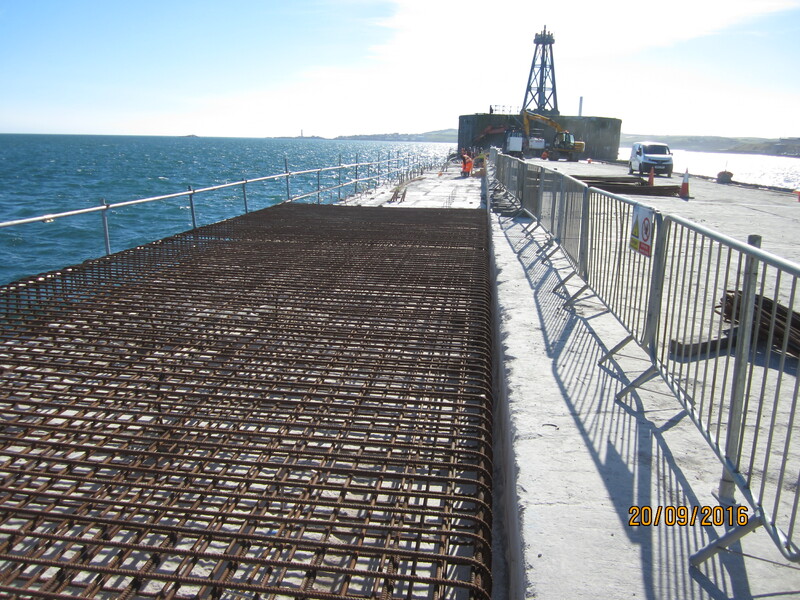 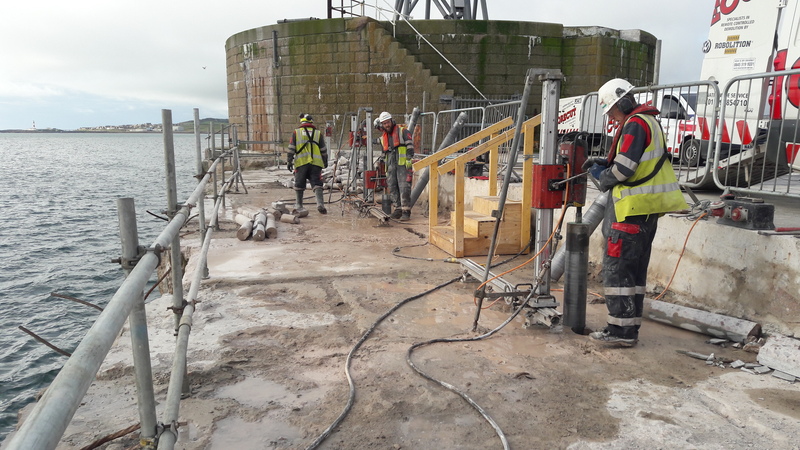 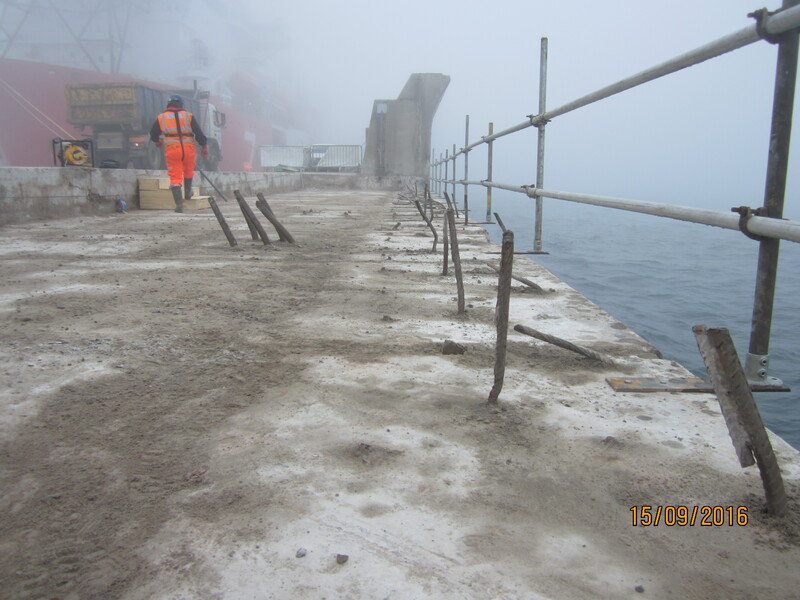 Southbay Civil Engineering has been employed to repair the 28m section of breakwater by removing the existing damaged section and replacing with new precast blocks and in-situ concrete. 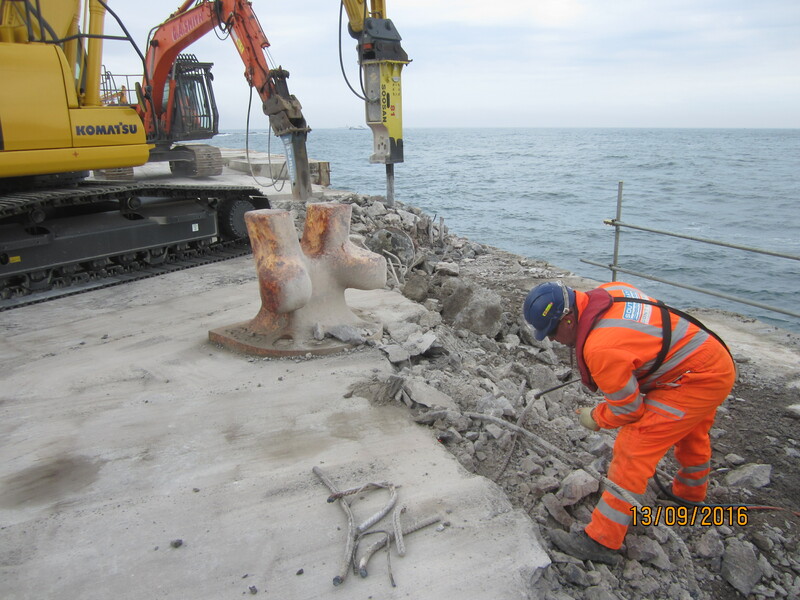 The works to repair the damaged section of the north breakwater structure are based on a 28 linear metre section close to the roundel which requires the demolition and removal of an amount un-reinforced modular concrete / rock blocks which are in turn to be replaced with newly constructed R.C. 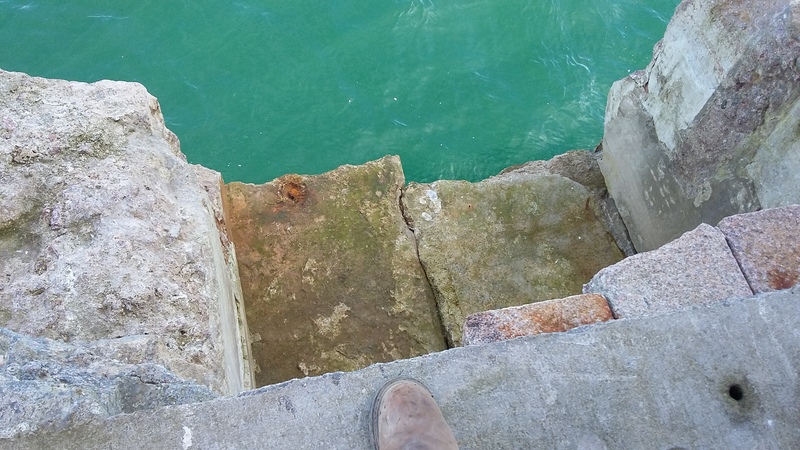 blocks to the breakwater between low tide level and deck level. 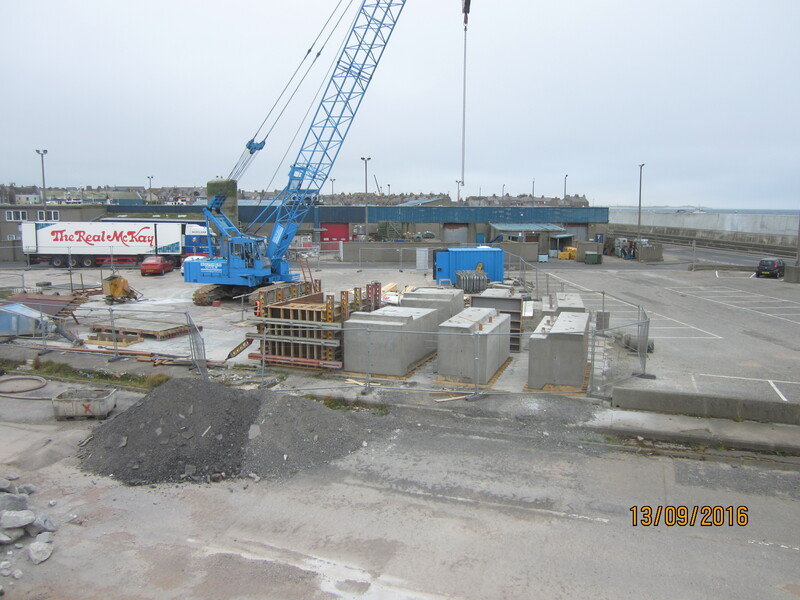 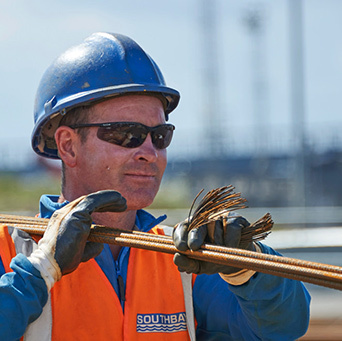 Also included is the construction of a new localised area of R.C. 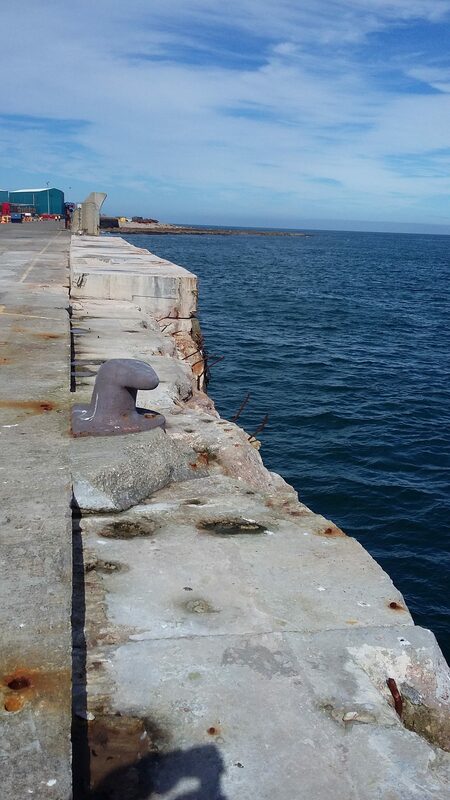 deck c/w approximately 87m of 1.5m high R.C. 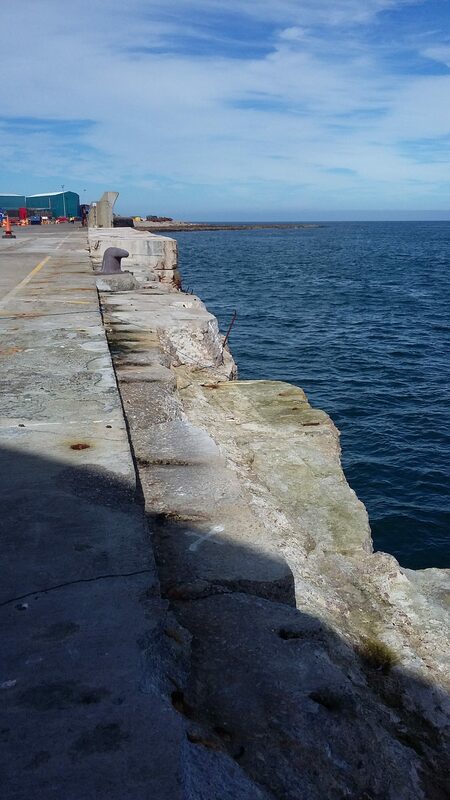 wave wall.